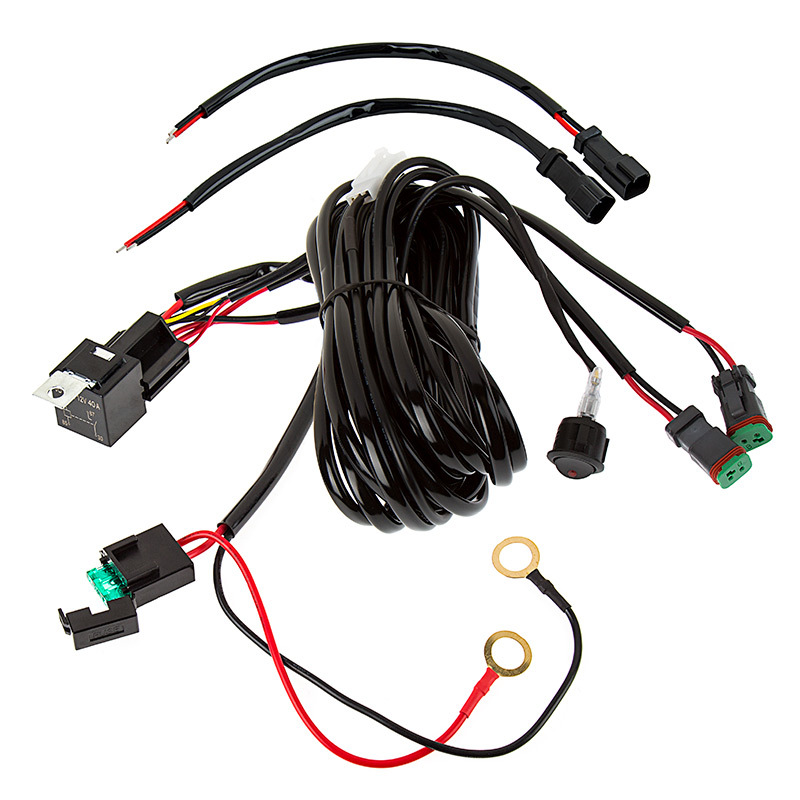 Complete Plug and Play wire harness for LED Work Lights and Off Road Light Bars. 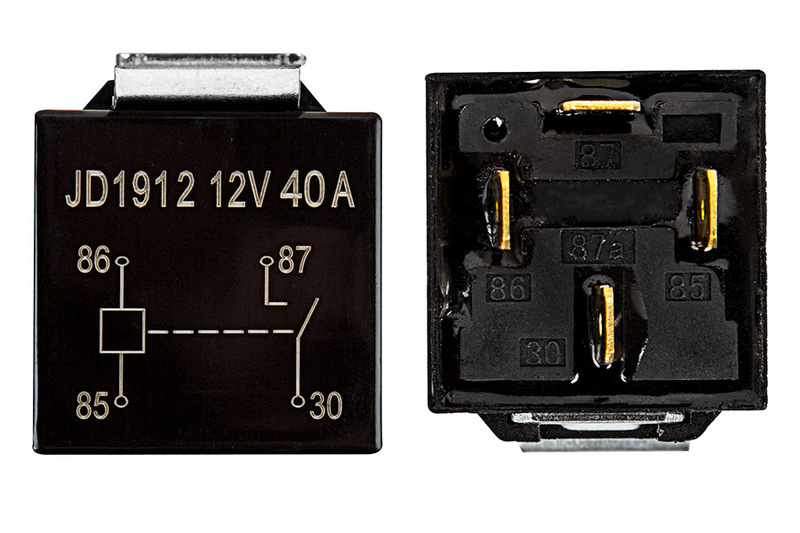 Includes On/Off switch with LED indicator, fuse, and automotive relay with solderless spade connections. 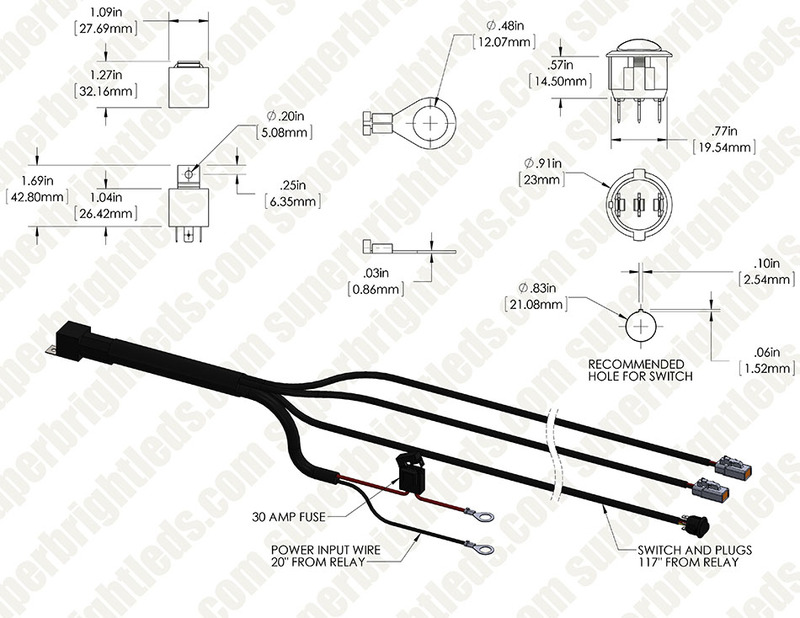 See drawing below for dimensions. Maximum load of 15 Amps. Relays have 4 pin layout. 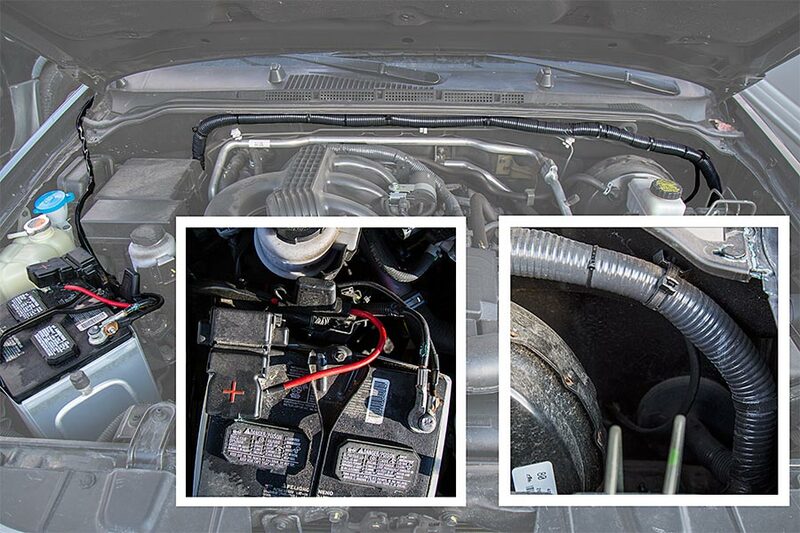 Wiring harness is only for 12V products. I MOUNTED THESE LIGHTS ON MY ATV MAINLY FOR THE SOLID RED TO USE ENTERING THE WOODS BEFORE DAYLIGHT WHEN HUNTING. THE STROBS ARE A LOT OF FUN ALSO. This is a must have. Makes the install easy and fast. Great kit will buy this kit anytime I buy a light. I bought this to operate lights on my 0-turn mower .So i had to do some cutting,splicing,soldering,shrink rapping . It is a very good harness and works very well. This harness was the perfect addition to might light bar purchase very nicely put together and installs easy.